This post contains affiliate links, which means that if you click on one of the product links and make a purchase, I’ll receive a small commission at no extra cost to you. Thanks for supporting my site! 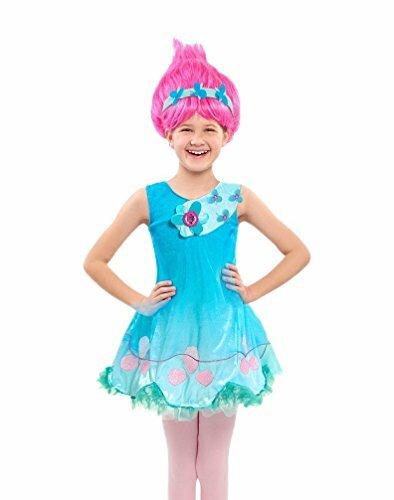 Does your child enjoy dressing up as Poppy or Branch or any one of the Dreamworks Trolls movie characters? 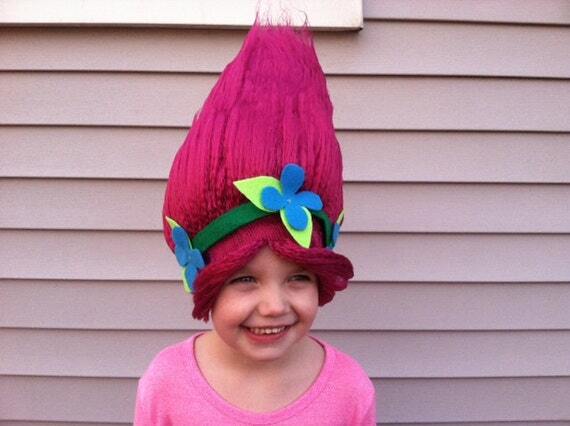 Here are some great Dreamworks Trolls Costume Ideas for Kids. 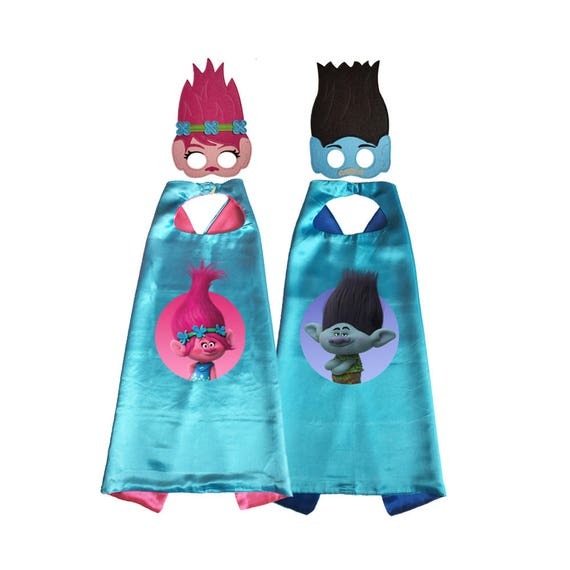 Whether your kid loves the Trolls or the sweet little Bergens like Bridget or Prince Gristle, there is plenty of inspiration for cool Dreamworks Trolls clothing for the tickle trunk or for Halloween, or even for a dress-up play date. Here is a small clip from the Trolls movie to help you visualize how the attire for the main Troll characters could appear. Think bright, neon and glitter for most of the characters. Click here to get the full version of the DREAMWORKS TROLLS MOVIE. Your childs age is always an important factor when buying a dress-up costume or Halloween costume. Will the costume be comfortable and safe for your childs age? There are Trolls outfits appropriate for any age. How well will the costume last? 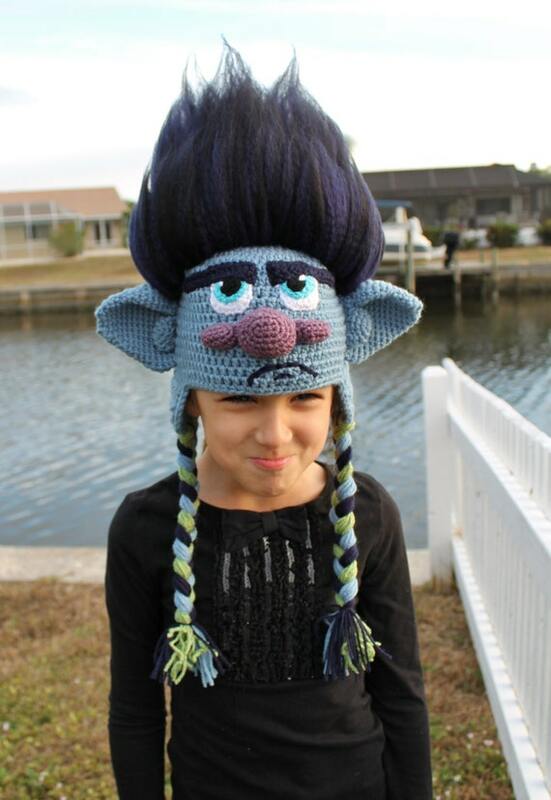 Wear and tear is a real concern for your little Troll or Bergen. Ensure that the costume will stand up to rigorous childhood dress-up testing. 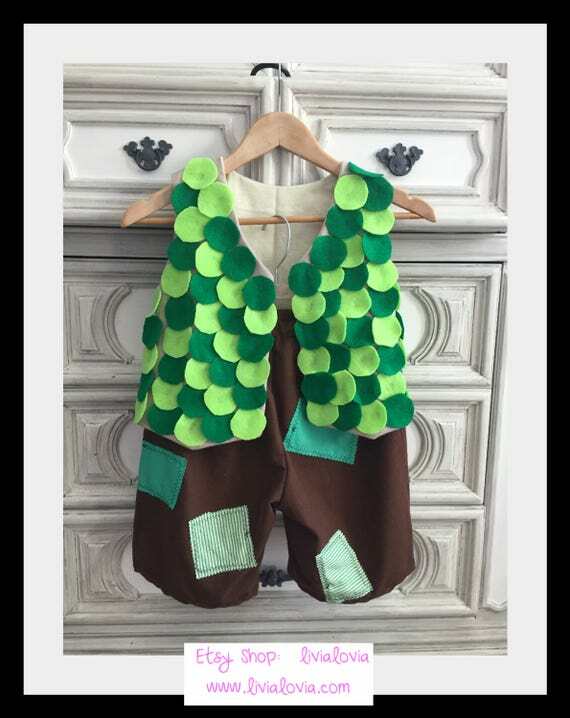 The costumes from Etsy are made by real parents who want the designs to withstand a normal child activity level. Make sure that your wee one can always see, breathe and hear. Obstructing one of the primary senses would not be fun for your Troll! All the better to see and hear what is going on around them. If you are going outside in costume, it is a great idea to keep the weather in mind. 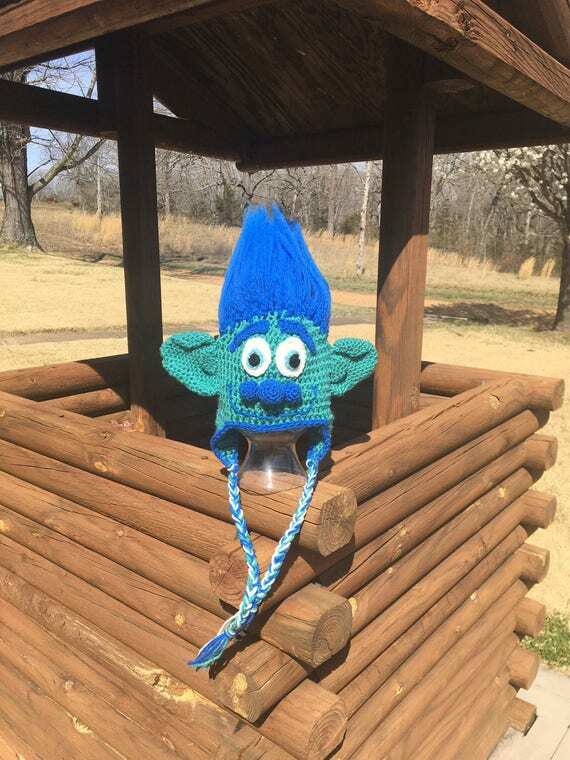 Trolls that are too hot or too cold can become cranky! Poppy has pizzazz! All the way from her pink neon stand up hair down to her twinkly little dancing Troll toes, she exudes personality. Being the leader of the Trolls gang is no easy task, but she approaches her destiny with songs and hugs. 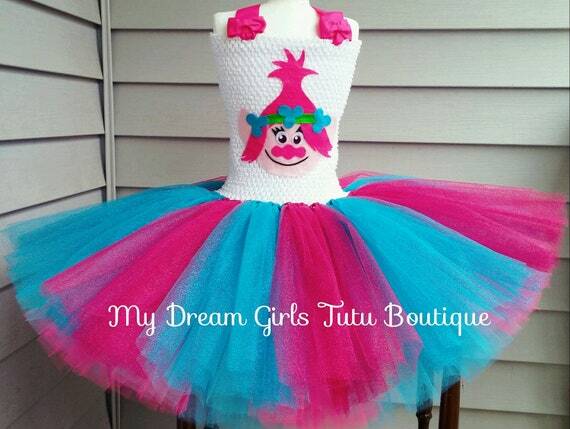 Most little girls (and some big girls too) absolutely love tutus. Princess poppy tutu costumes are fantabulous! 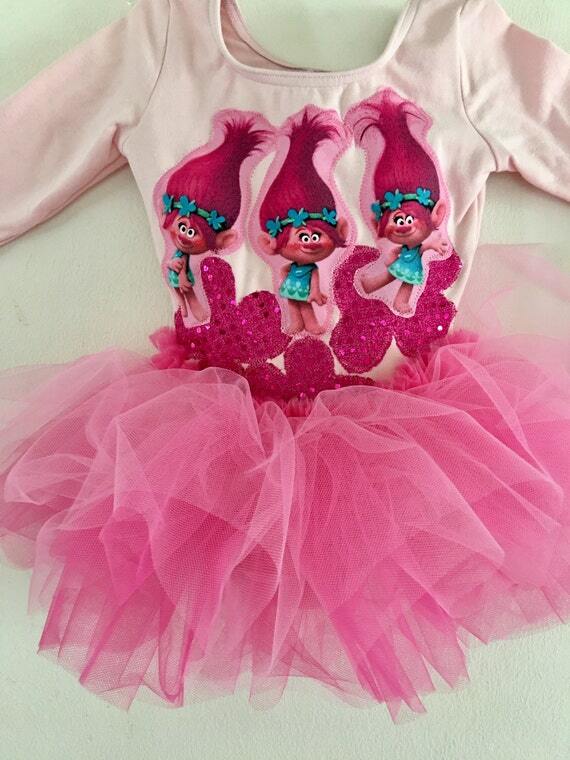 The dress tutus are a great Trolls costume idea for kids. Some come with hair, and some give you room to add or coordinate costume items to complete the perfect Poppy outfit. 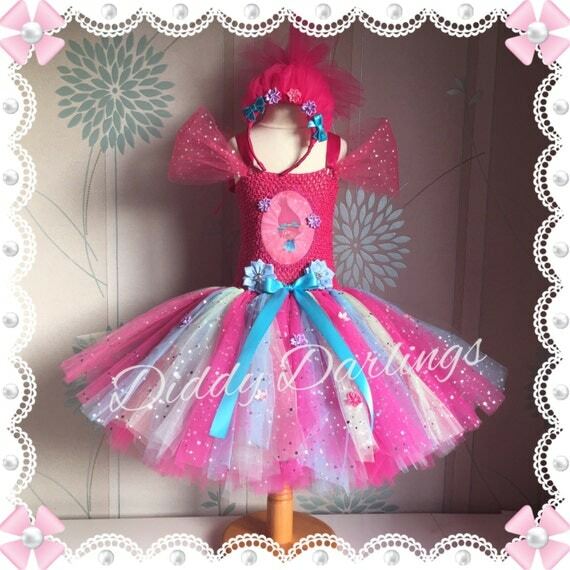 This selection of Trolls Poppy tutu dresses include the hair up headbands! All in one costume ideas like this are ideal. 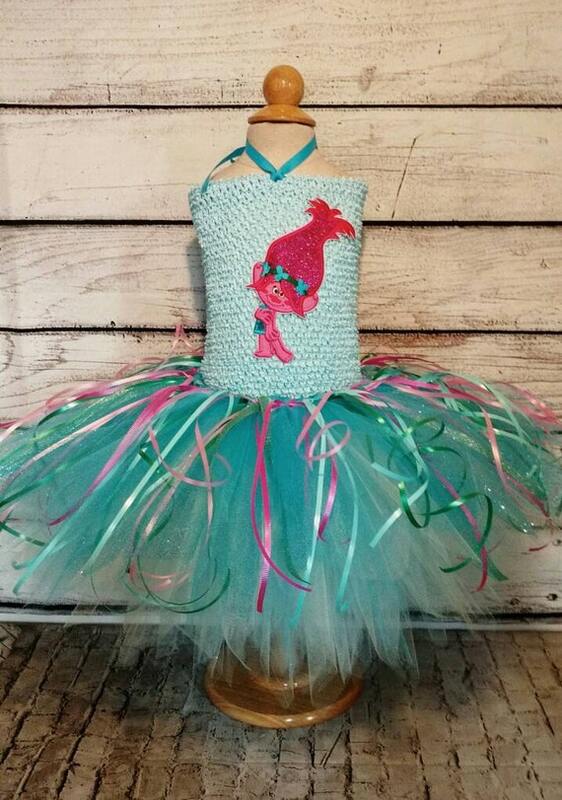 Add the ease of one stop shopping with the fact that these tutu dresses are made by home-spun artisans selling from Etsy online stores. Its a great way to encourage entrepreneurship and to help support an American family survive in these challenging times. 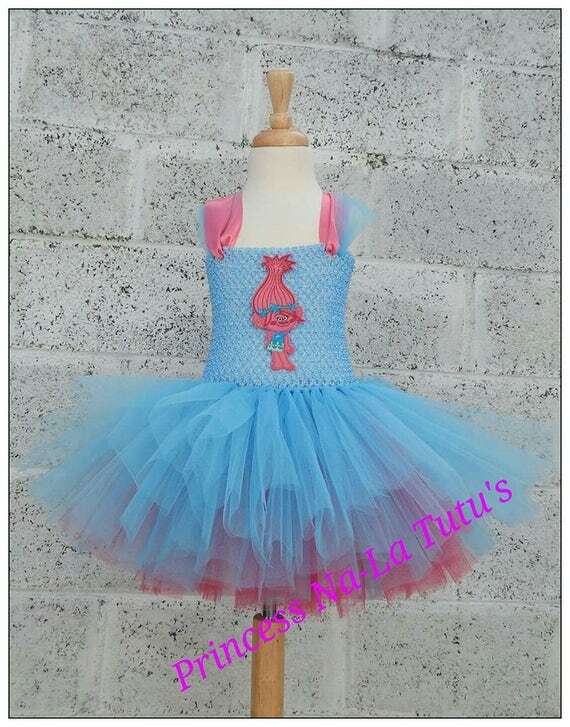 Crocheted tops and tulle skirts all have a colorful Princess Poppy dress up theme to them. 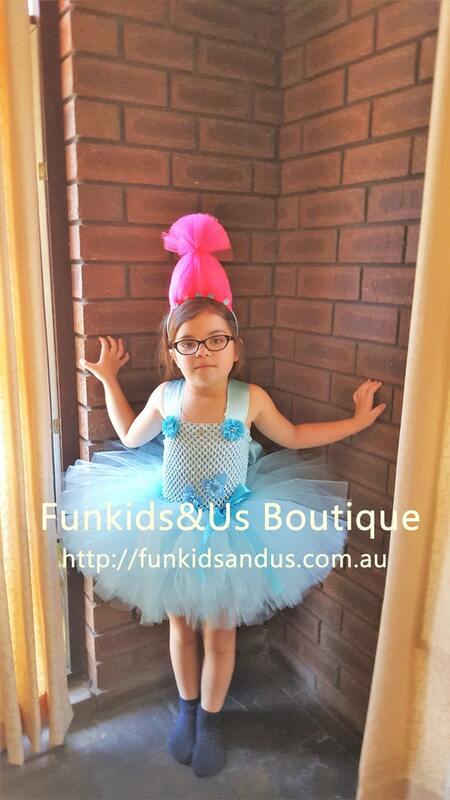 The cute little dresses come in various sizes. The pink tulle "hair" band is just so cool and the flowered hair wreath adds just the right touches. 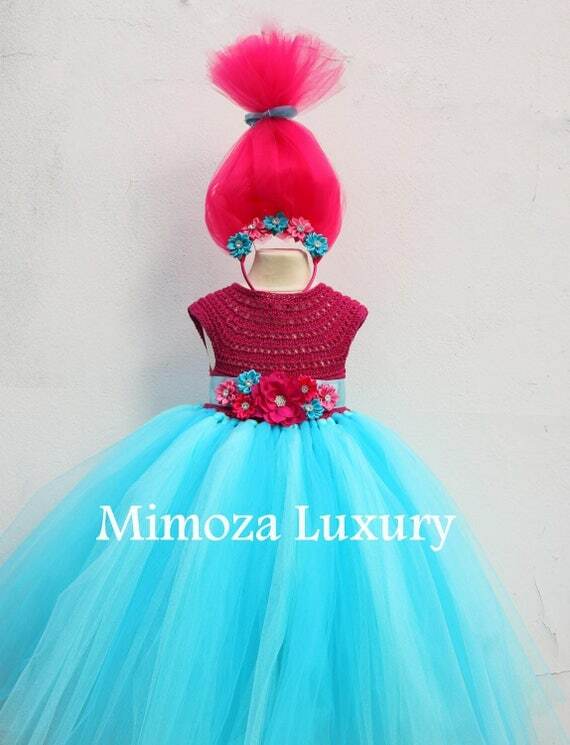 The skirts come in various combinations of blues and pinks. Crocheted tops are also shades of pink and blue. 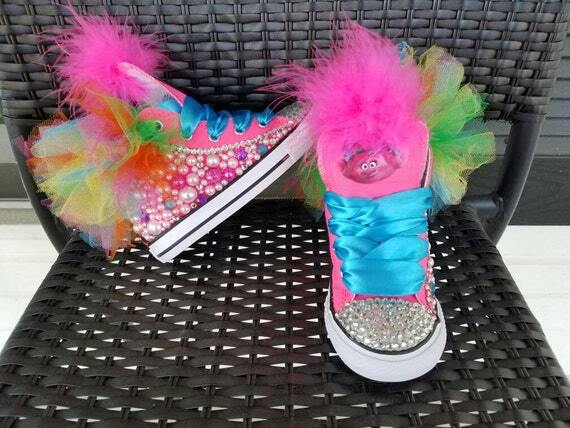 Some of these kids dress up outfits have sparkles and they all feature appliques or Princess Poppy themed adornments. 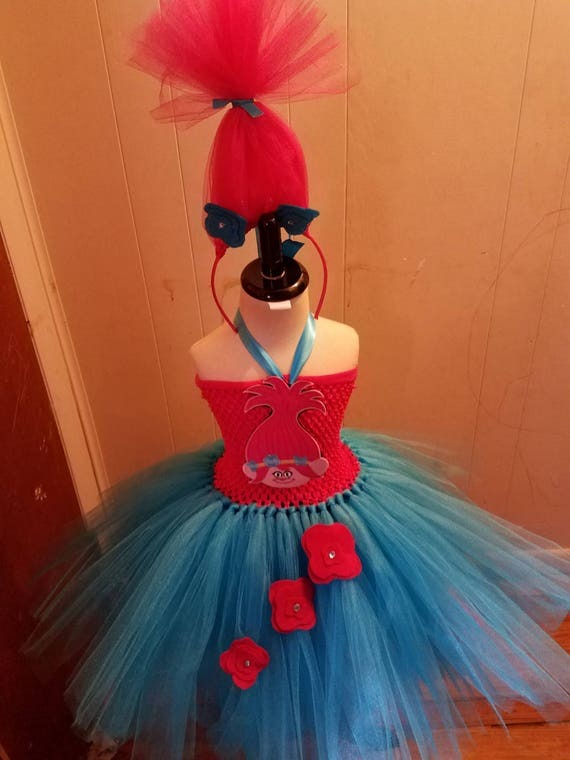 If just a Princess Poppy Tutu alone is what you are searching for, here is a cute selection of tutu dresses that will please any little Trolls fan. 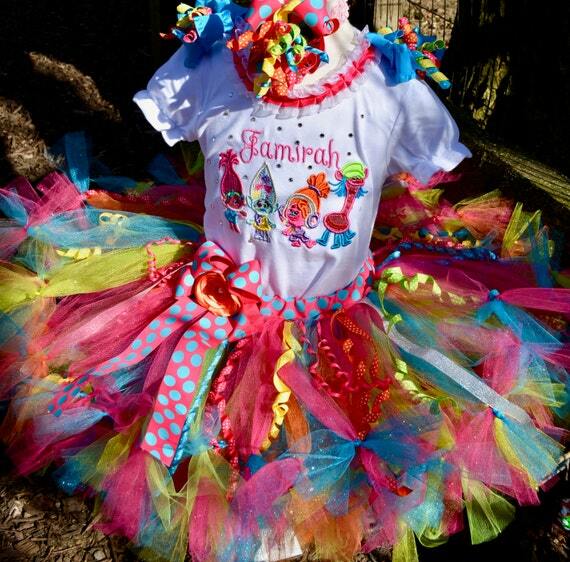 Tutus are such a fun Troll costume idea for kids. Indoors, outdoors, Halloween, birthday parties and dress up days are a few examples of when wearing one of these Poppy tutu dresses would make a little one feel like a princess. 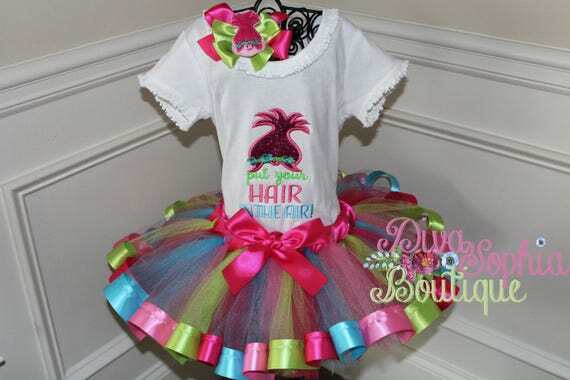 Some of these darling little dresses can be personalized with your childs name. Tulle is one of the basic materials and tops vary from tee shirts to denim to cute crocheted toppers. 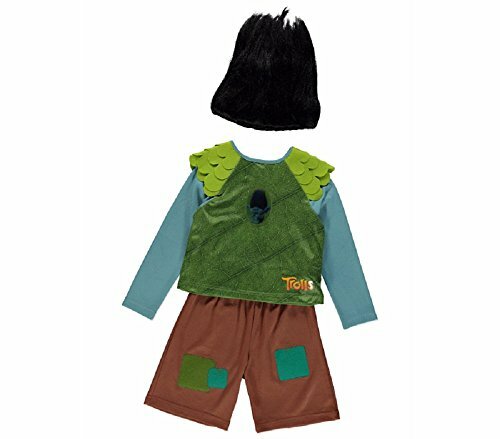 These items are available in many sizes, so having your little Trolls fan help you pick out their favorite Dreamworks Trolls costume will be a breeze! One of the most outstanding features of the Dreamworks Trolls is their hair! 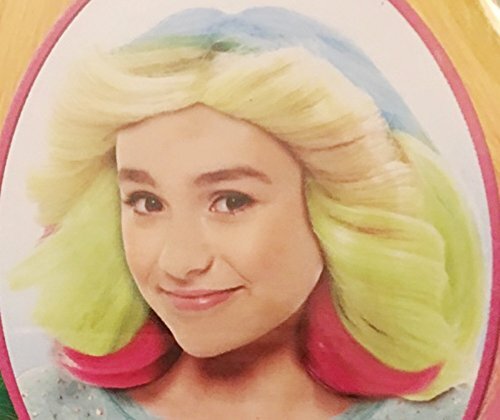 Troll hair - dont care is now such a popular saying. 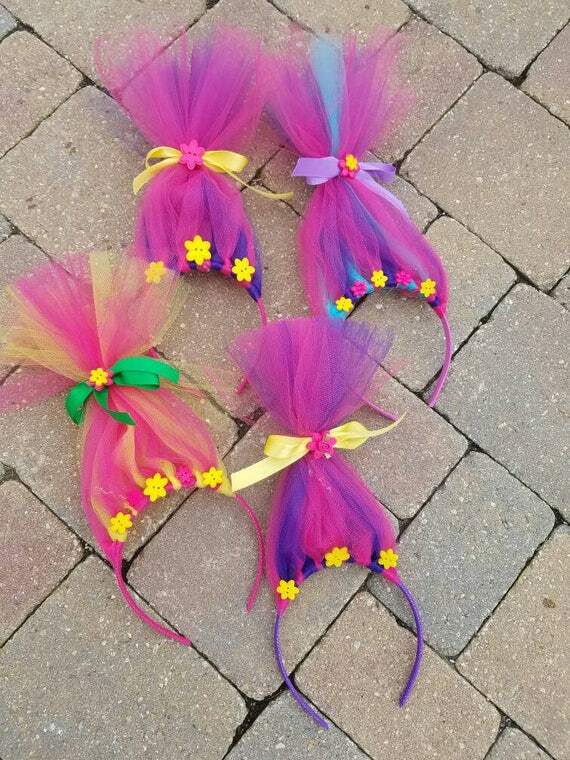 These hairbands or hair pieces allow your Trolls fan to have their "hair-up". 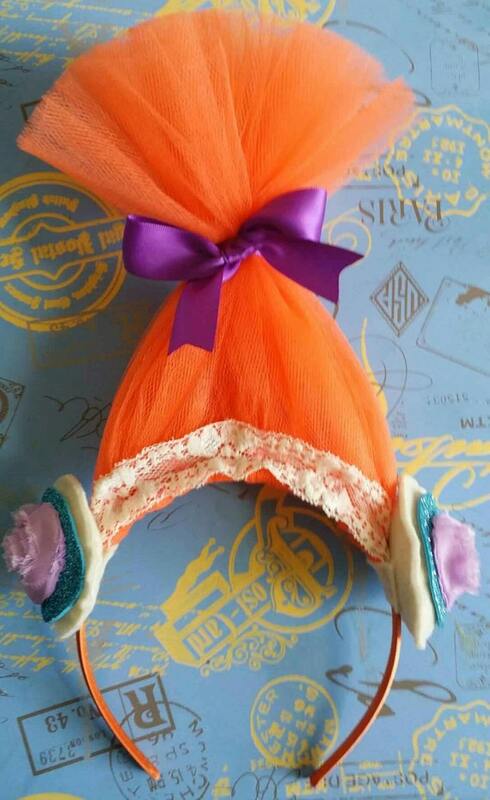 They can put on one of these charming little wigs and sing along to the TROLLS MUSICAL SOUNDTRACK. 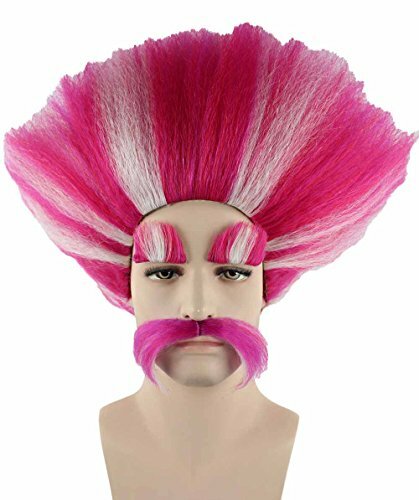 These Troll wigs are made of various materials including wool, tulle and faux fur. Only your imagination limits the many available colors. 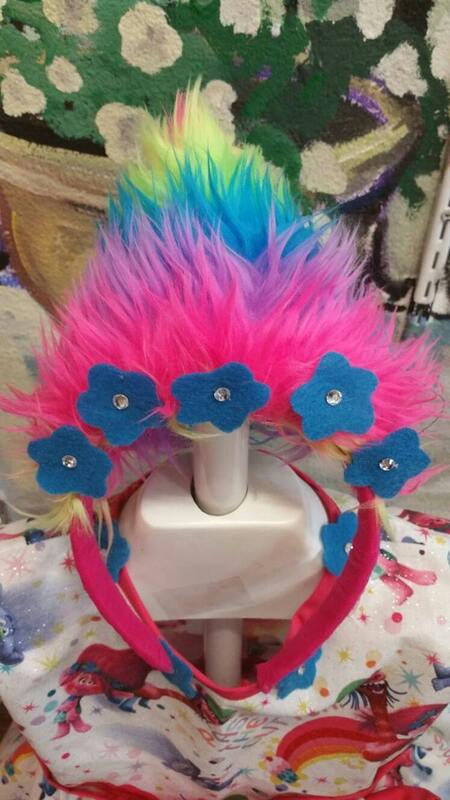 In most of these items, the hair is attached to a headband and applique flowers adorn the headdress. 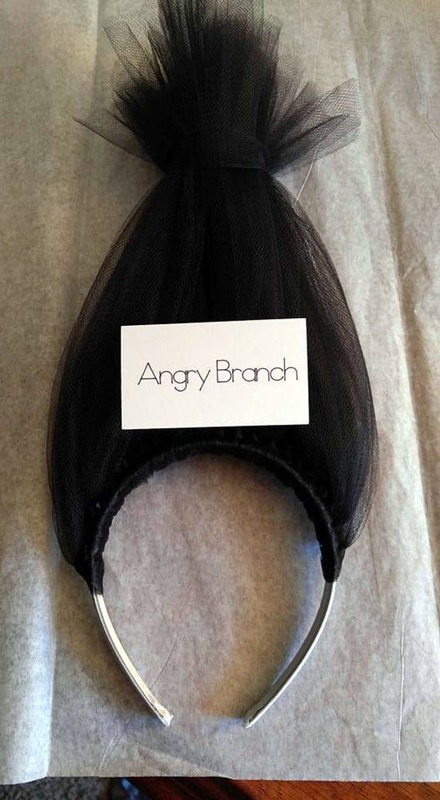 Branch is Dreamworks Trolls lead male character. He is a survivalist and precautionary by nature. Unlike the other Trolls at the beginning of the movie, he has both a somber outlook and earthy colored clothing. By the end of the movie, he shows his "true colors". 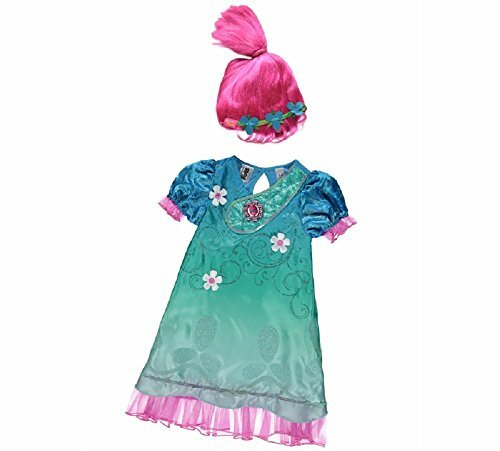 Dreamworks Trolls Branch costumes for kids include a full dress outfit, cape and mask, Branch toques and hats, hair and other Trolls mask type items. Colors are usually blues, blacks, greys and browns. These ideas are available in assorted sizes. 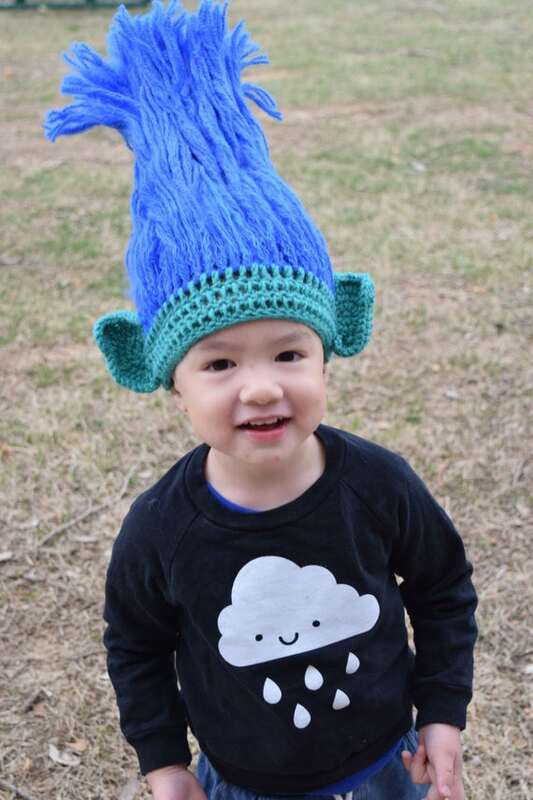 Making a Trolls kids costume for boys will be easy with these costume separates. 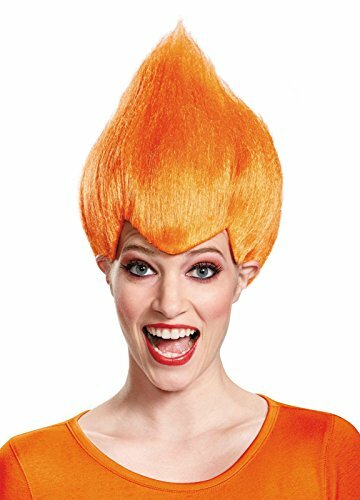 Other Troll movie character costumes are not hard to create given the choices of wigs available. Add some accessories, like headphones for DJ Suki or a cute plush caterpillar for Biggie. Two kids could hook their hair up together for Satin and Chenille. Guy Diamond needs lots of glitter. The Bergens are pretty easy too. Cook needs a cooks hat and an apron. And of Course the King and Prince Gristel need a crown and cape. 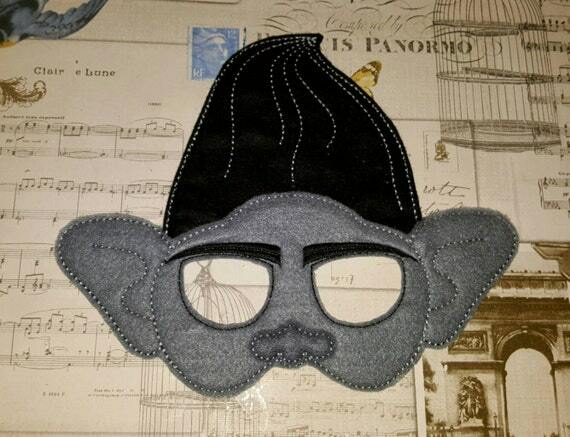 Here is an example for Brigit and King Peppy to help create their look for a Trolls costume party. 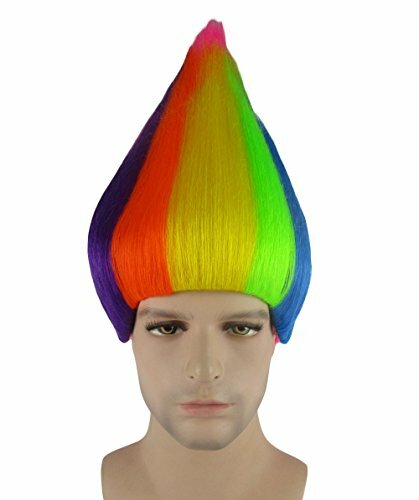 The wigs could be used for any of the Trolls such as DJ Suki and Creek. 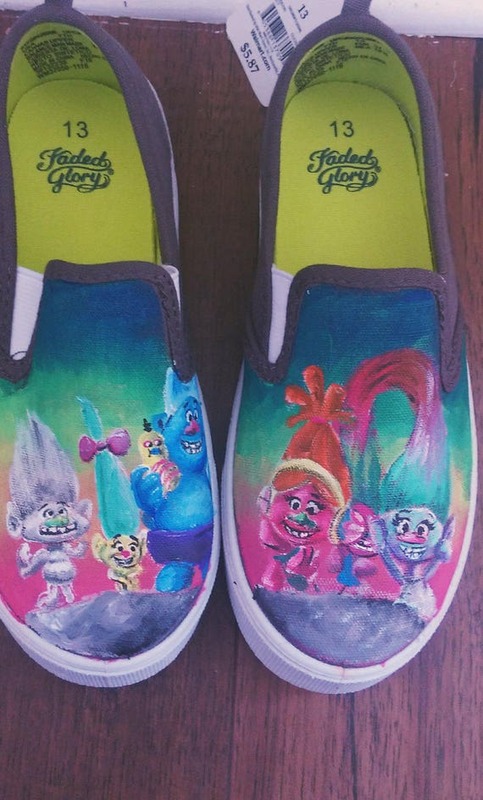 Shoes are the final item for the coolest Dreamworks Trolls costume! Shoes make the world a beautiful place for our feet. Every outfit needs some good shoes to go with it. These adorable sets of footwear will bring such smiles! 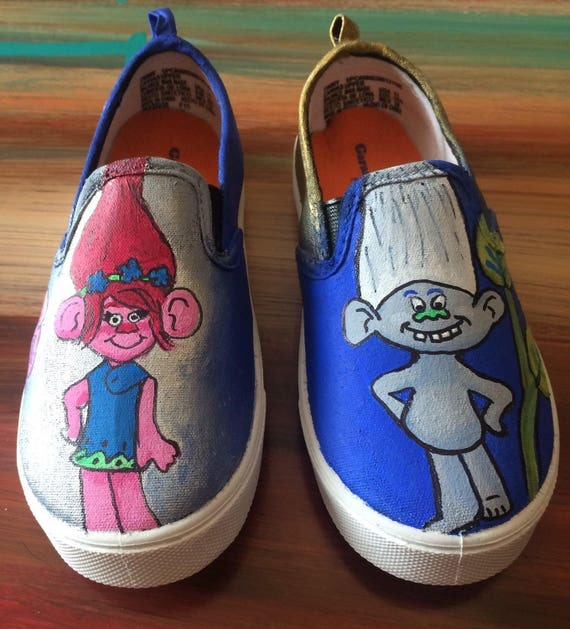 The tie up shoes and slip on footwear with Trolls characters will be a great Troll costume idea for kids. Your child can wear them for any day, and still have them for dress-up days, birthday parties and of course, Troll Halloween costumes. 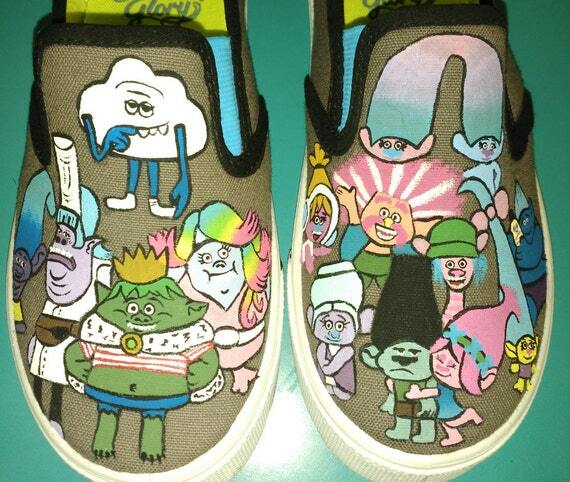 There are shoes for boys and shoes for girls. They are all make you want to hug and dance! What a great addition to a kids Troll costume. Once you have your costume together, all you need is some awesome face paint in the appropriate color for your Trolls character. Make sure that the kit contains some glitter! Having some brushes and foam wedges for blending will be helpful too. Be sure to put some paper or an old table cloth down on your makeup surface, especially if the the kids are coloring their own faces. Things can get messy! Making a Trolls face out of your own is a ton of fun. Please enjoy this video where some tweens decorate their own faces as Dreamworks Trolls characters. 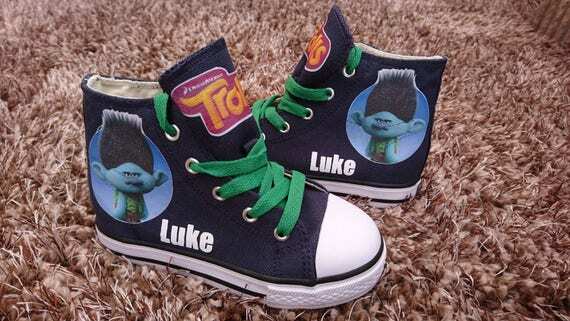 You will be able to find some excellent Dreamworks Trolls costume ideas for kids and face painting tips! It is nice to have a storage area for Halloween or dress-up items. A good idea is a storage container! A Trolls collapsible storage trunk is an ideal costume storage solution. This canvas storage unit measures 30 x 14.5 x 16 inches. It can be collapsed when empty and folded down flat. 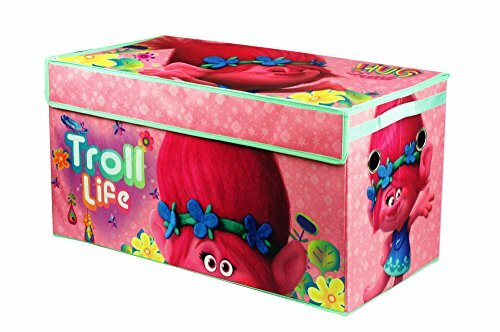 The pink tickle trunk is decorated with images of Trolls Princess Poppy and some groovy Troll quotes. the trunk lid is fastened with velcro and the trim is a cool aqua color. 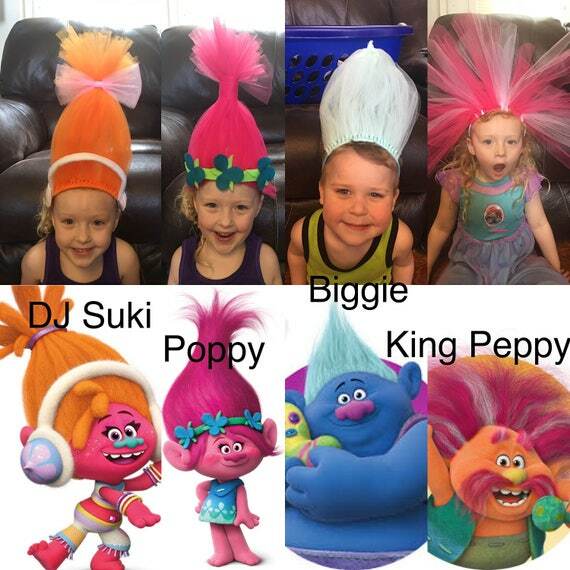 Thank you for visiting Dreamworks Trolls costume ideas for kids. Dressing up is so much fun for both children and adults. Experimenting with costumes and face paint will produce an excellent, adorable result. 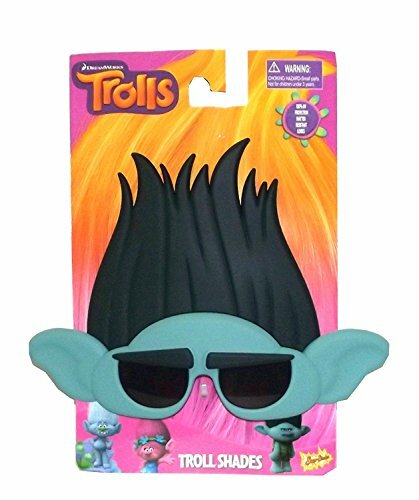 Kids will be so happy to look like their favorite Dreamworks Trolls gang character. Hair Up! Best Toys For Kids is a participant in the Amazon Services LLC Associates Program and Etsy Affiliate Program, which are affiliate advertising programs designed to provide a means for sites to earn advertising fees by advertising and linking to amazon.com and etsy.com. What're The Best Toys For 5 Year Old Boys? 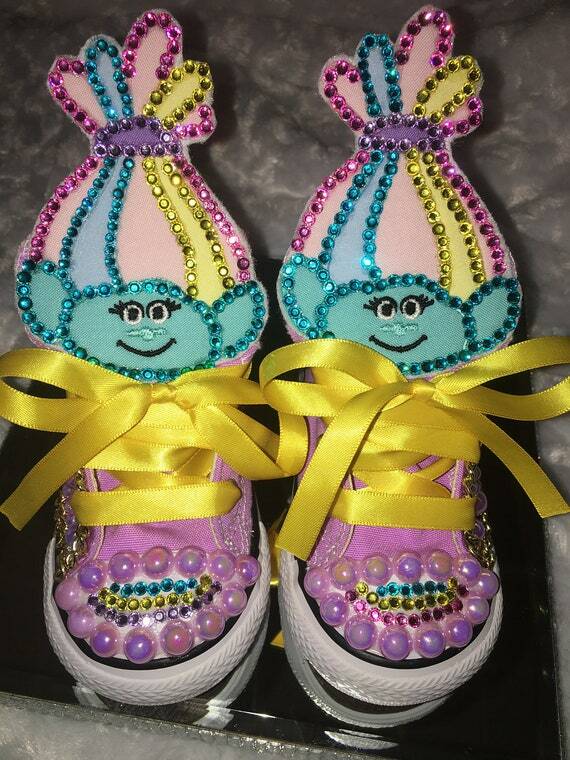 Cool Gifts For Tween Girls That Are Creative and Fun!! The images, tutorials, and content on best-toys-for-kids.com are protected by copyright laws. DO NOT distribute or copy the content without written permission. DO NOT edit or remove watermarks from any image. Best Toys For Kids may earn revenue on this page based on affiliate relationships and advertisements with partners including Amazon, Google, Etsy, eBay, and other 3rd party affiliate networks. Best Toys For Kids is a participant in the Amazon Services LLC Associates Program, an affiliate advertising program designed to provide a means for sites to earn advertising fees by advertising and linking to amazon.com.